The controversy over the fiction selections for New Zealand's premier annual literary prize, The Montana Book awards continues into its third week. Last week we saw the beginnings of a good old fashioned literacy spate on Bookman Beattie's blog with one participant calling the latter literary talkback, a reference to New Zealands populist radio channels which invite all and sundry to call in. Beattie, normally the most benign of literary discursive, as befits his elder statesman/retired publisher stature, almost lost his temper. Others were not so careful. See here. The cause of the ruck was the perceived snub to both established and aspiring New Zealand novelists by the fiction judges panel who, after only offering four, as opposed to the normal five shortlist of new New Zealand fiction titles, compounded their felony by apparently having it put about that there weren't any others worthy of their attention. 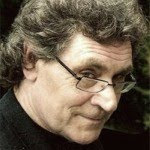 Naturally, a number of New Zealand fiction writers and their supporters have taken umbridge, including Mr Beattie who went on to offer, again on his blog, a few choices he thought were more than due the attention of the judges. This weeks NZ Listener, the weekly chattering classes fix de jour, has now waded into the fray with an article from the equally impressive Paula Morris, who, again in a perfect pitch of surprised impartiality, proceeds to call into question if not the judgement, then certainly the cultural nouse of the judges - in other words - are they mad - why provoke people when you know it will end in tears, and probably yours.? The article is well worth your attention, here. Also Morris , has her own blog, which is always worth a visit, here. As someone who, from lack of time, and with the exception of Chad Taylor, rarely reads New Zealand fiction, I can't actually find it in myself to get to have too big an opinion on the matter. 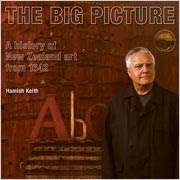 However, I do read New Zealand non fiction - and frankly, the big story for me isn't over one lost nomination, rather it's the astonishing omission of any mention whatsoever of the Hamish Keith's, The Big Picture. To say I don't get this is an understatement. And for sure, lets get the acknowledgement out of the way that Keith is a friend of mine. Lets also get out of the way that someone with a NZ Listener column called The Cultural Curmudgeon, and a career that goes back over forty years just might have annoyed a few people. So what - although quick, and occasionally partial to a fight, especially around his well known antipathy to Wellington and the arts establishment, Keith is still a master of his material, and that's New Zealand art and art history. The Big Picture is his tour de force - both as a TV series and as a book. So why no Montana nomination? I don't get it. I just don't get it all. In the rush to find the missing fifth man/woman - can we spare a thought for the real mystery here - and start asking on Keith's behalf the big question about the bigger picture - what kind of lifetime commitment to the arts do you have to clock up to get recognised around here? This aint right. Aint right at all!